Approached via a long private gravelled drive this well designed and since improved 4 bedroom, 2 bathroom detached family home surely enjoys one of the best positions at The Elms with picturesque, unobstructed views over Green Belt countryside to Wraxall Church and the hillsides of Wraxall while offering a private south westerly facing rear garden. 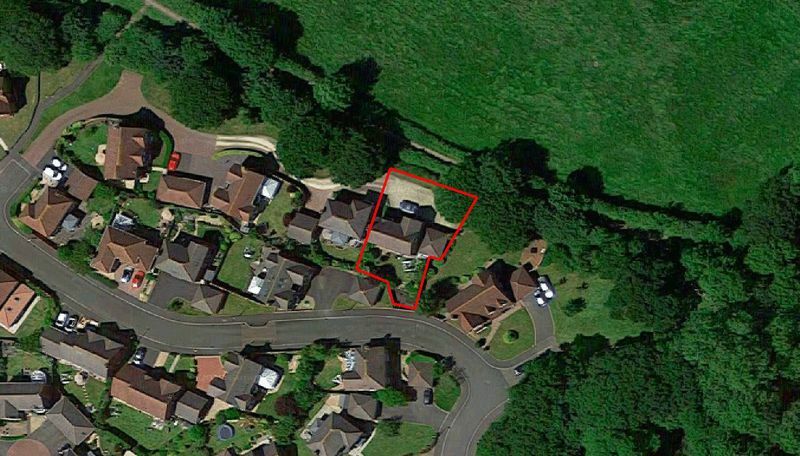 A really outstanding position in this prestigious development. The drive which is flanked by a sweep of lawn arrives at an extensive forecourt that sets the scene for this fine property and provides plenty of parking and turning space with a detached double garage set to the side. 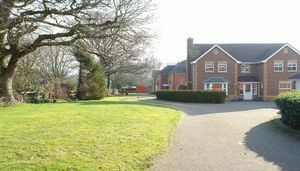 On entering the house, the traditional reception hall leads to a fully refurbished cloakroom and the reception rooms including a dual aspect living room with an outlook to the front and French doors leading to a patio and the rear gardens. 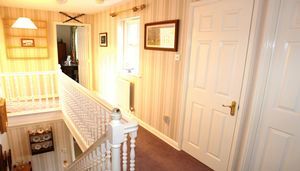 The hall and the living room also lead to an open plan kitchen diner measuring 20'3" x 11'3" (6.17m x 3.44m) that again overlooks the private rear gardens. A utility room is arranged off the kitchen area and the staircase from the hall rises to a spacious galleried landing. 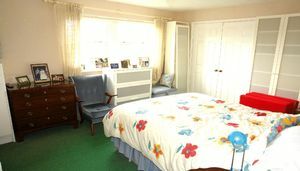 The generous principal bedroom has a range of built in wardrobes and a superb en suite shower room complete with a contemporary suite and a spacious shower area, all having been updated in recent years. 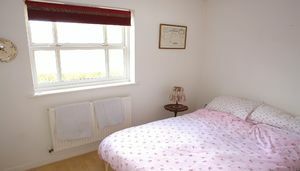 The family bathroom has been similarly updated and the remaining three bedrooms are well proportioned with bedrooms 2 and 3 both having further built in wardrobes. The Elms development which comprises a wide selection of high quality homes is one of the most sought after residential addresses in the area and has matured nicely over the years but barely a handful of the properties here can begin to compete with the position that this house occupies. 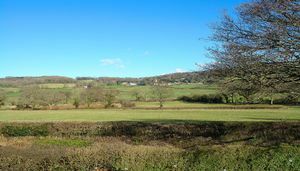 Consequently, it will be no surprise to find that the first owners of the property reserved the plot long before building started recognising the rare opportunity. 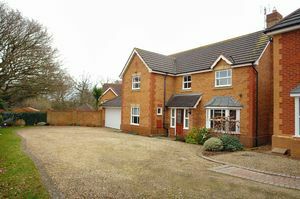 A beautifully positioned family home that will be a pleasure to show you around. 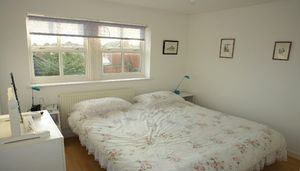 Pease contact us to arrange your appointment now. 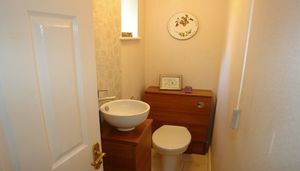 Refurbished in recent years with a contemporary white suite comprising a WC with concealed cistern and a bowl wash hand basin and mixer tap set on a vanity unit with cupboard space beneath. 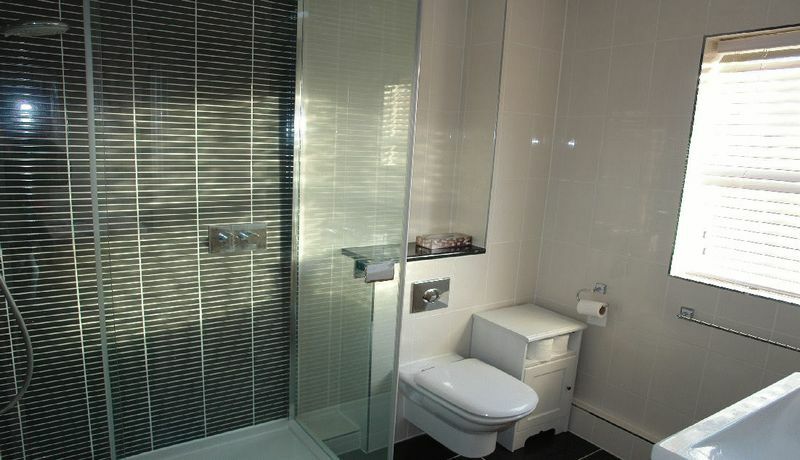 Ceramic tiled surrounds, a radiator, ceramic floor tiling and a frosted double glazed window. 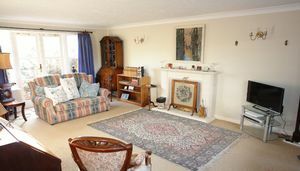 A lovely open plan room that is arranged to overlook the charming rear gardens with a bay window in the dining area and a further broad window in the kitchen area, 2 radiators, TV point, limestone finish ceramic floor tiling that adds to the feeling of light and space and continues through to the utility room. 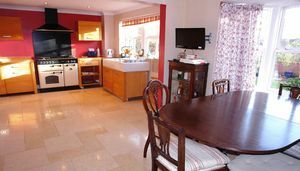 The kitchen area is equipped with a range of French style unfitted cabinets including a sink unit with deep glazed 1½ bowl sink with tiled surround. 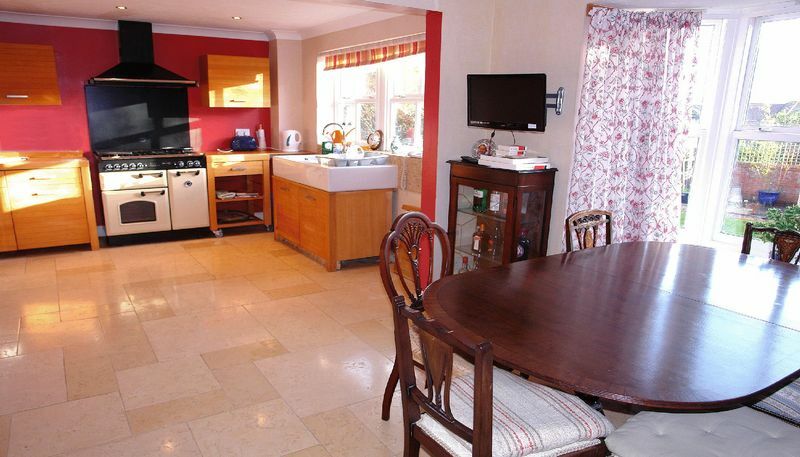 There is space for an island unit if required and the full size Rangemaster range cooker with matching splash back and a chimney hood above is included. Plumbing is provided for a dishwasher and there is ample additional appliance space. 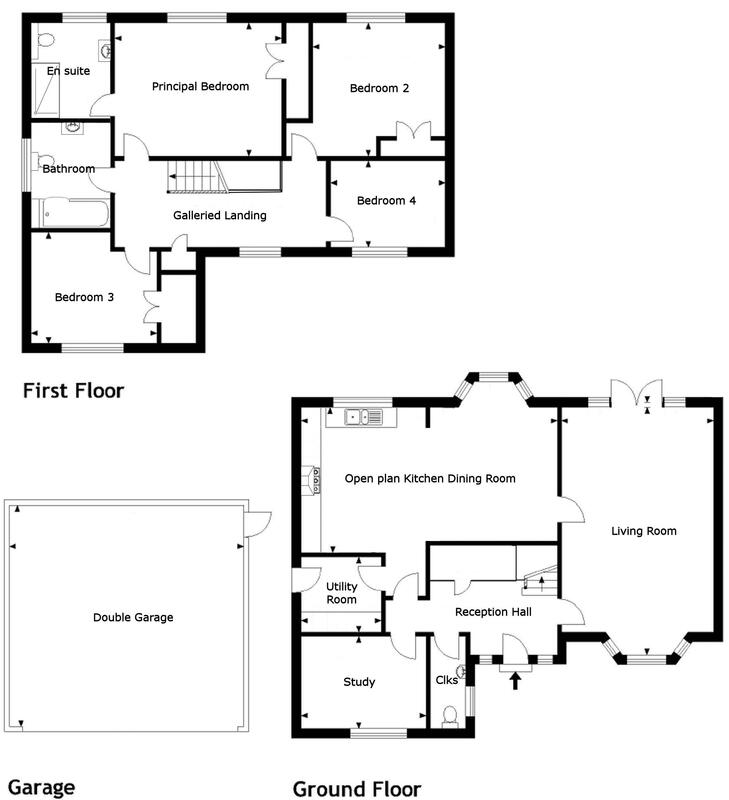 Having a range of wall and floor cupboards, roll edge laminated work surface, tiled surrounds, plumbing for an automatic washing machine and tumble drier space, a radiator, a wall mounted gas fired boiler supplying domestic hot water and central heating and a half glazed door to outside. With a double radiator, coved ceiling, telephone point and TV points and an attractive low sill window allowing an outlook to the front. 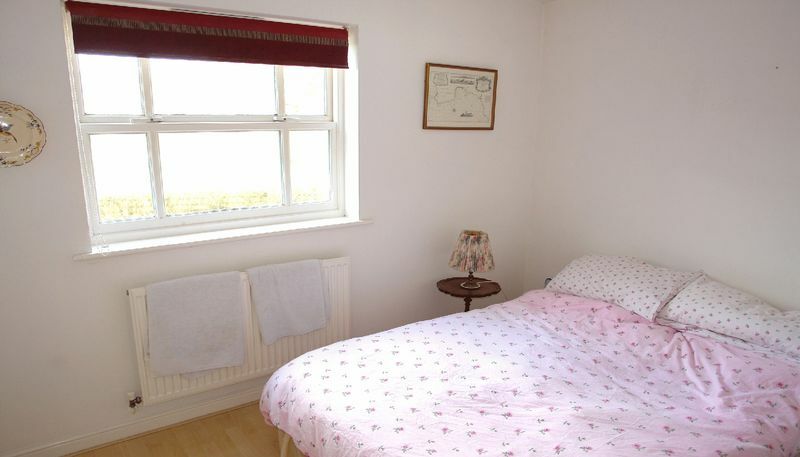 LANDING Yet another attractive feature with a double glazed window to the front allowing panoramic views, a radiator and a built in airing cupboard. 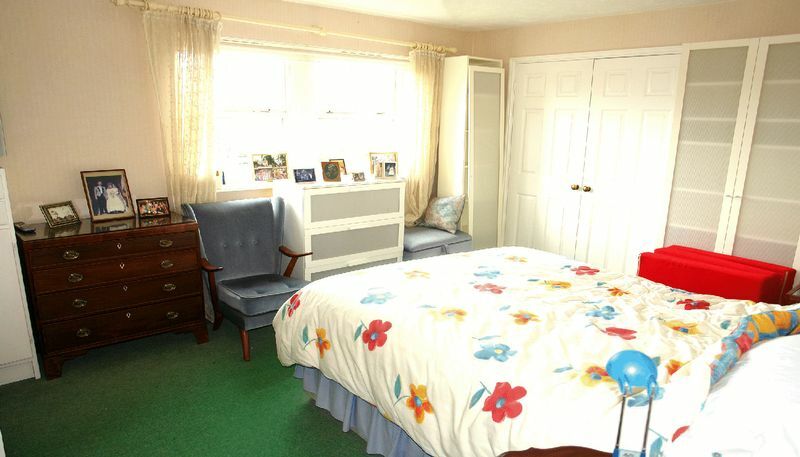 A superb main bedroom of excellent proportions with a good range of built in wardrobes, a radiator, telephone point, TV point, two wall light points and an outlook to the rear across the Elms as far as Backwell Hill away in the distance. 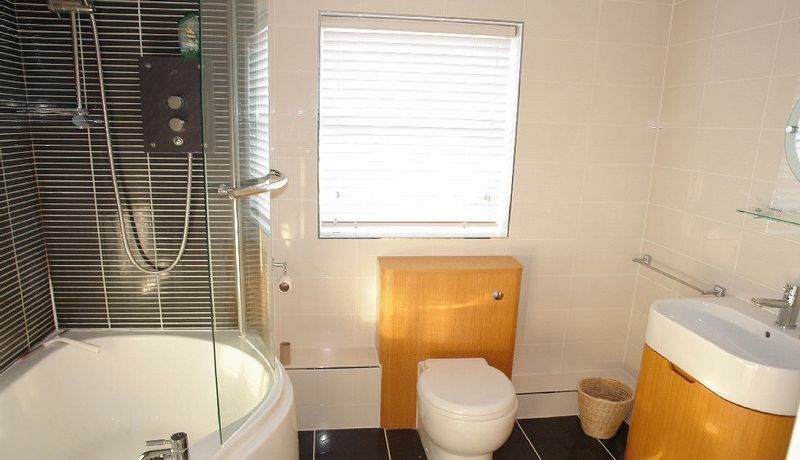 Originally designed as a bathroom but fully refurbished in recent years with a contemporary white suite comprising a double shower enclosure with a thermostatically controlled shower, a concealed cistern WC and a wash hand basin set in a vanity unit with cupboards beneath. 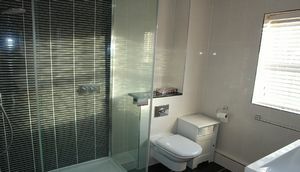 Contrasting wall and floor tiling complements the suite, there is recessed down lighter ceiling lighting, an automatic extractor fan, a towel rail radiator and a frosted window to the side. With a radiator, TV aerial cable and an outlook again to the rear. A third double room with a radiator and glorious views across the vale to Wraxall Church, Wraxall Court and surrounding hills. With a radiator and the advantage of the fabulous outlook to the front. Again very well appointed having been fully refurbished with a another contemporary style white suite comprising a P shaped shower bath with laminated glass screen over, a WC with a cabinet concealing the cistern and a matching shaped vanity unit with a wash hand basin and cupboards beneath. The bathroom is attractively tiled and there is a frosted window to the side. A shared block paved drive leads from Green Pastures Road to a private gravelled driveway that is initially shared with the neighbouring house but arrives ultimately at this property with an extensive forecourt that provides parking and turning space and with the detached DOUBLE GARAGE set to one side. 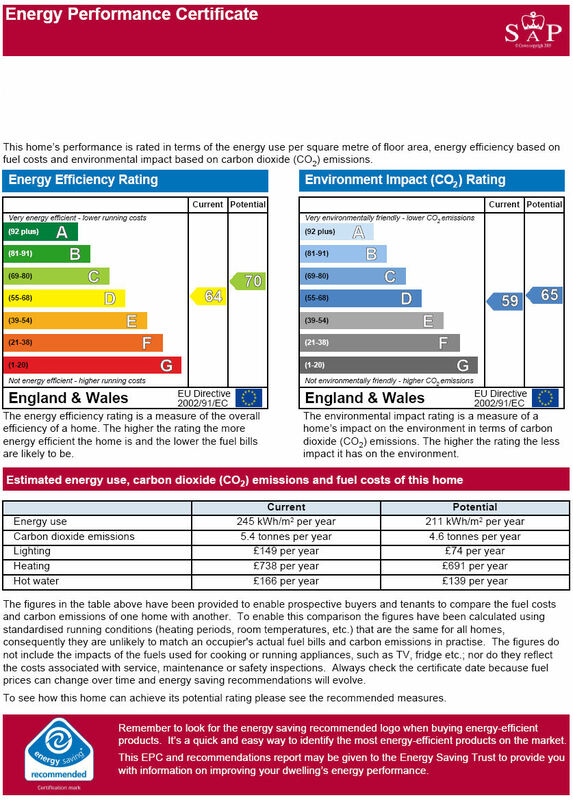 The garage measures 17’8”’ x 16’5” (5.4m x 5.01m) internally and has lighting, power, a personnel to the side and a remote controlled roller door that has replaced the original up and over door. Shaped lawn bounded by a well kept hedge follows along the side of the drive and a screen wall forms the left hand boundary. 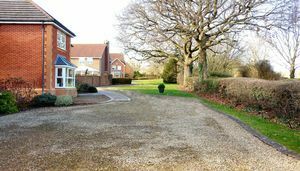 A gate at the side of the garage opens to a path that leads in turn to the rear that is laid in the main to lawn with further shaped borders planted with a variety of established trees, shrubs and bushes. 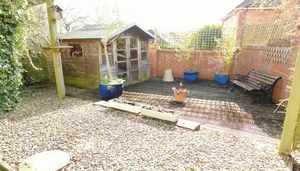 There are two paved patio areas with a pathway between and set away in one corer of the garden a small gravelled terrace leads to a sun deck that is enclosed by screen walling with space for a summer house to one side. In addition, a greenhouse stands at the back of the garage. 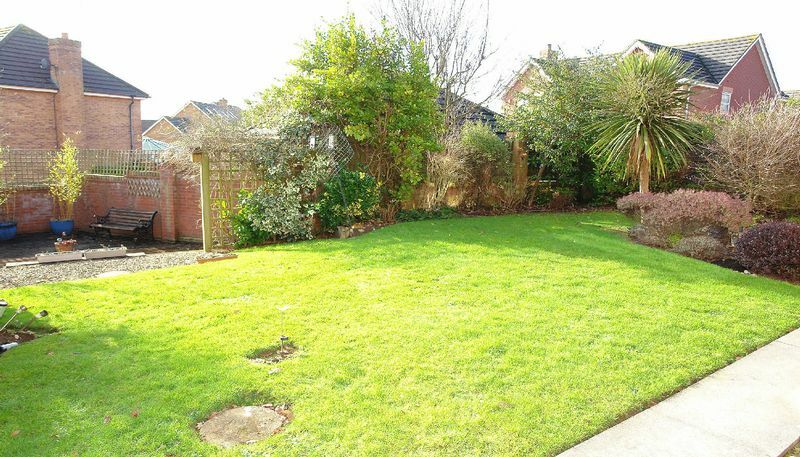 Overall, the garden is of good size and enjoys a high degree of privacy while the rear enjoys a sunny south westerly aspect.